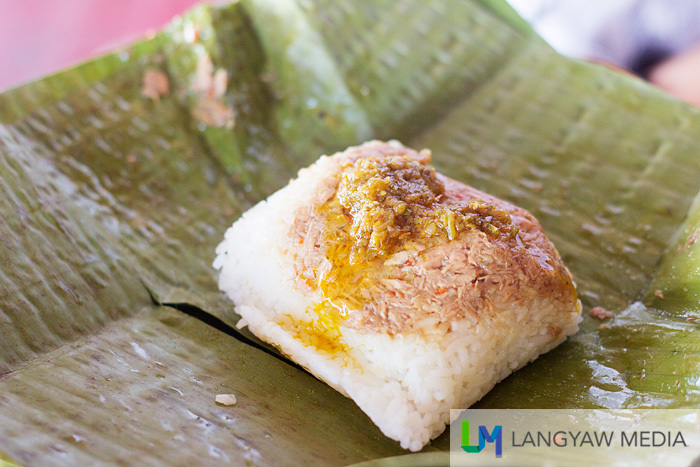 I got wildly curious when a friend told me about pater, a rice dish topped either with shredded and cooked beef, chicken or tuna (usually canned) and wrapped with blanched banana leaves. It is a rice dish common in areas with Muslim populations. 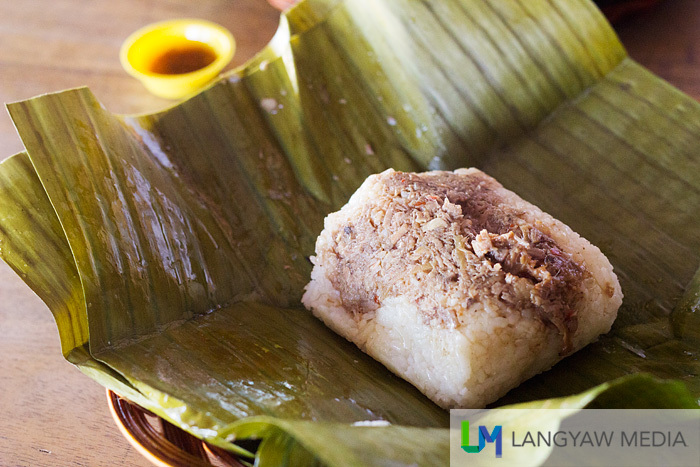 In Maranao, it is called pater and Maguindanao is pastil. I’ve also seen this one in Gensan. When I visited Iligan this week, I specifically requested to have it for brunch. The Al Pater al Kuwait place along Bonifacio Highway in Tibanga, just a couple of meters from the Sanitarium was almost empty of diners except for one and their staff. I was told that they called it such as the spicy ingredients are sourced from that country where the husband of the owner is based. I ordered one beef and tuna pater for our brunch. At just P25 per piece, it was really a budget friendly meal. The native plates arrived with the neatly wrapped pater and a small receptace of palapa, a sambal like sauce that is oily and spicy at the same time was placed on our table. I opened mine and there, a pile of cooked rice formed into a cube and topped with the cooked shredded beef. With the plastic glove given to us and worn on my right hand, I followed what my friend did: pour the palapa on top, mixed all and ate. Delicious! The rice mixing with the beef and the spicy palapa was really good. Simple yet flavorful and the spiciness was just tolerable. After seeing that the masala chicken just finished frying, we ordered another round and now paired with the former. 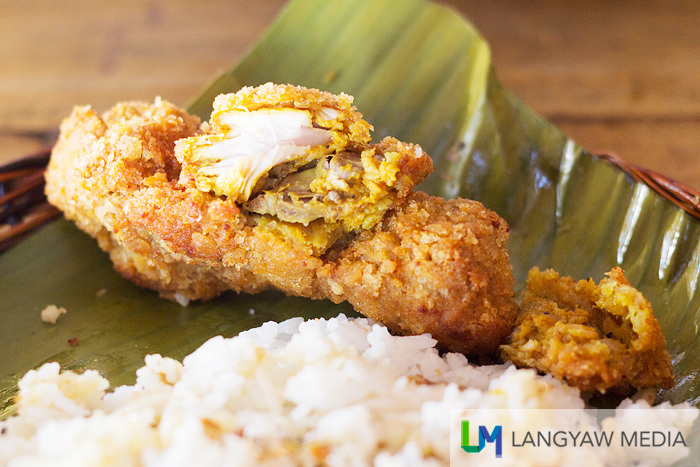 At first, I thought the masala chicken was another ordinary fried meat that is quite common as streetfood here and in many Philippine cities. 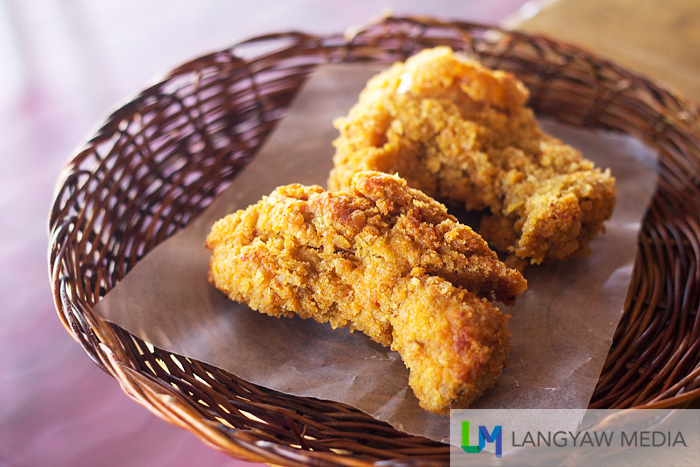 But when I did bit into one, after the thick layer of batter and breading, the chicken meat has a layer of a curry mixture, coloring it yellow. But the meat was just tender and cooked right, the curry flavor added to the already great tasting piece. Pater at Al Pater Al Kuwait is a tasty, filling and budget friendly meal. No wonder lots of students from the nearby university come here to eat.